The City Center Library and Reading Room is accepting volunteer applications. 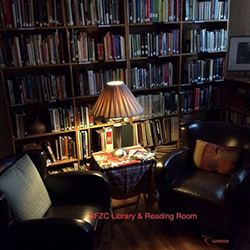 Currently we are in need of coverage for weekly evening hours and Saturday mid-morning to after lunch, to assist us in keeping this lovely, quiet library and sitting space open for residents and other members/visitors. Training will be provided. Meals included. Regular Scheduled Hours preferred to cover 2 – 4 hour periods. Essential Duties and Responsibilities: Greet and warmly welcome patrons and guests to library. Tasks that may be requested: distribute general information; orient patrons to the library and/or point out locations of shoe rack, restrooms, handout table, membership and volunteer opportunities. Other responsibilities: Shelving books, DVDs, CDs; organizing magazines and newspapers; assisting with upkeep/order of shelves; helping to retrieve items. Assist with patrons’ digital “self check-out” process. Contact the City Center librarian at cclibrary@sfzc.org or call the main office at 415-863-3136 and request extension 388.